There are different types of sparring, however usually in the class, ‘sparring’ refers to competition style sparring which means that all kicks must be above the belt (to the body or head), there is no punching to the face, no leg sweeps, or no pushing, use of knees or elbows. However, in a Dan Grading situation, sparring may be two on one or three on one, so the higher up the belts you go the more likely you are to practice non-competition style sparring. 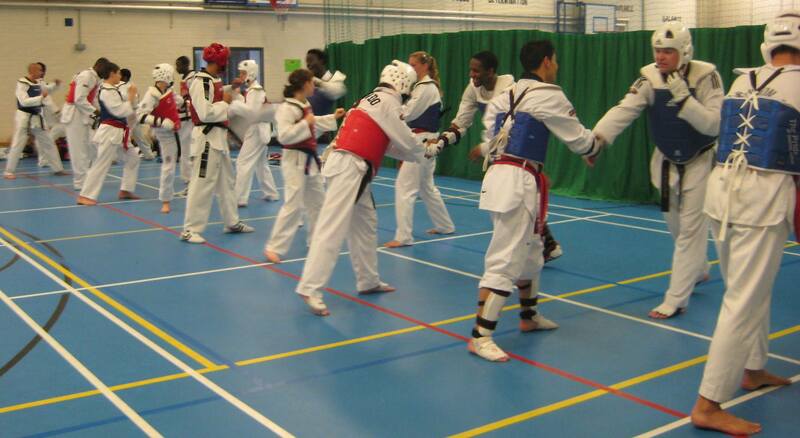 LLTKD has a good sparring pedigree with Master Lawrence having been a very successful competitor and since then many of his students have gone on to compete and win in domestic and international competitions.